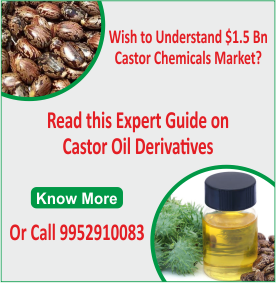 To raise castor productivity by working closely with farmers, Solvent Extractors Association of India (SEA), the national body of the vegetable oil industry, will establish 200 model farms for castor cultivation in five districts of Gujarat, which accounts for 80% of castor production in India. These model farms, on 3-4 bighas, will be developed in Banaskantha, Patan, Sabarkantha, Junagadh and Kutch. Castor seed yield has doubled from 2000 kg to 4000kg/hectare in two villages of Gujarat under SEA’s castor seed development program. Buoyed by the success, SEA will be extending this program to Rajasthan. While the first program saw sowing over 300 hectares, under the extended program SEA aims at castor sowing on over 1,500 hectares of land. The National Multi Commodity Exchange of India Ltd (NMCE) has announced modification in the castorseed contract, thereby making it deliverable as per the required market specifications. NMCE had constituted a Trade Advisory Committee (TAC) on castorseed for reviewing all the existing contract parameters of the contract and make them deliverable. 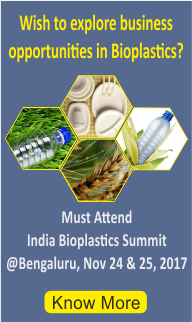 The changes in the specifications were necessary to achieve wider participation from all the stakeholders. Currently, three futures contracts for November, December and January 2017 are active. The February 2017 series will be offered as per the delivery specifications. SEA has launched a pilot project in Gujarat to help farmers increase the productivity of castor seeds to 2,000 kg per hectare from the current average yield of 1,200-1,400 kg a hectare. The model farm would be supervised by the agriculture scientists and progressive farmers. The beneficial results will motivate many farmers to replicate good practices demonstrated at the model farm and achieve higher yield. Earth Gen Biofuel expects that the worldwide demand for castor beans would increase for the next 10 years. 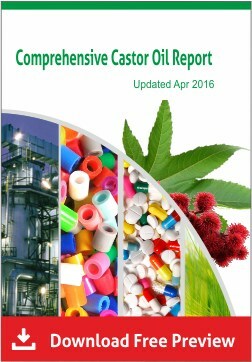 The ever expanding end uses of castor oil and its derivatives are the key drivers for increase in world castor seed production. 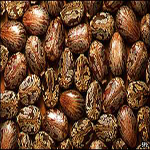 The demand exceeds the current castor seed production by a wide margin. These facts and EarthGen’s goal of becoming one of the largest US-based growers of castor beans have paved the way for the company’s expansion goals. 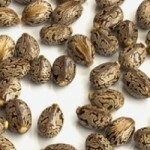 The company plans to start castor bean operations in South America and US. It also include adding 4000 acres of castor bean farms in Laos over the next two years. Harvest of castor beans is being carried out in almost all the hamlets in Pachaimalai. The harvest process is being carried out only during late afternoon after allowing the seeds to dry. The oilseed is grown as an intercrop on the boundaries of tapioca farms along with local seeds. 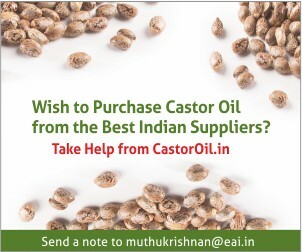 Lack of attractive price for castor had forced the farmers to reduce the area under cultivation. 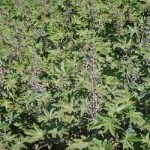 An estimated 40 hectares has been brought under castor cultivation as against 200 hectares till a decade ago. Scientists from India performed an experiment to analyse the differential longevity of castor germplasm conserved under uncontrolled storage conditions. Seed longevity of 2961 castor accessions stored for <1-19 years under ambient conditions was investigated to analyse the loss in vigour by the castor seed and also determine the genetic variability for seed longevity. 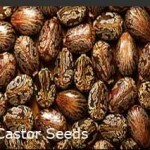 Results showed that castor seed retained 40% germination even after 19 years of storage. All the accessions maintained 100% germination for one year, but from the second year, differential germination percentage was observed among accessions stored for the same duration.